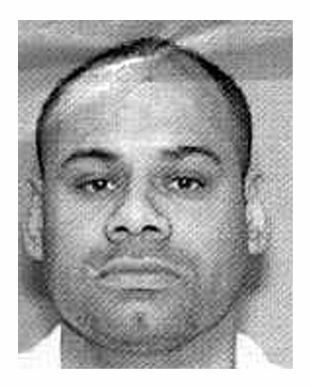 Manuel Vasquez was executed shortly after 6 pm CDT, on Wednesday, March 11, 2015, inside the execution chamber at the Walls Unit of the Huntsville State Penitentiary in Huntsville, Texas. Manuel was 46 years of age. He was executed for the murder 51-year-old Juanita Ybarra on March 19, 1998, in San Antonio, Texas. Manuel spent the last 14 years of his life on Texas’ death row. Manuel dropped out of school after the 8th grade. He worked as a welder, carpenter, and laborer prior to his arrest. He had previously been arrested and served time for aggravated assault with bodily injury (which resulted in the death of the victim) and was released on mandatory supervision for a second time in 1995. Manuel Vasquez was an alleged member of the Mexican Mafia. On March 14, 1998, Vasquez was present when it was announced by a high ranking member of the Mexican Mafia that Juanita Ybarra “had to go down” because she failed to pay the Mexican Mafia their cut of the sale of illegal drugs. On the night of March 18, 1998, Vasquez attended a party at the New Laredo Motel, which involved smoking marijuana, drinking beer, injecting heroin, and snorting cocaine. Juanita was also staying at the hotel that night. Early on the morning of March 19, Vasquez, along with Oligario Lujan and Johnny Cruz, went to the room where Juanita was staying. They covered their faces and wore socks on their hands to prevent leaving fingerprints. One of the three knocked on the door to Juanita’s room. Juanita’s friend, Moses Bazan, was staying with her that night because she was scared. Moses answered the door, leaving the chain in place. Vasquez, Lujan, and Cruz, forced their way into the room, breaking the chain. Moses was attacked and fought back, yelling, breaking a window, and punching a hole in the wall. Moses was eventually knocked unconscious. Vasquez attacked Juanita, attempting to strangle her. Juanita fought back by biting him in the hand. Cruz went to help Vasquez. The duo hit Juanita over ten times. When Moses regained consciousness, Cruz went back and forth between Juanita and Moses. Juanita was strangled to death using a telephone cord. Moses survived the attack. The trio robbed the room before leaving. Cruz reached a plea deal, which involved him truthfully testifying against Vasquez in exchange for a lesser sentence. Before his plea deal, Cruz gave several false reports to the police. Vasquez was convicted in November of 1999. Manuel was scheduled to be executed in August of 2014. His execution was delayed at the request of his lawyer, who was “behind schedule” on filing necessary paperwork for the execution, including clemency petitions. Please pray for peace and healing for the family of Juanita Ybarra and for Moses Bazan and his family. Please pray that for strength for the family of Manuel Vasquez.